Blind Item | Contact Us | Legal | ? This list is compiled from various sources. If you have additions or corrections to the Road Houses list, please contact us. left] and friends from the hood. Captain Louie, the new family musical has taken off after years in limbo. With music and lyrics by Stephen Schwartz, it�s landed at the York Theatre, while composer's Wicked continues to fly high on Broadway and as The Baker�s Wife, which never made it to Broadway, had an acclaimed production at New Jersey�s Paper Mill Playhouse [the final performance was May 15th, but the production was taped for the Lincoln Center archives]. Louie, with one of the strongest advance sales in York history, is produced by Meridee Stein [also the director]; Pamela Koslow [the second wife of Gregory Hines, until 2000, and co-producer of the Tony-winning Jelly�s Last Jam]; and Kurt Peterson, who made his Broadway debut in Dear World, created the role of Young Ben in Follies and has a six degrees of separation to Schwartz. in Follies with Virginia Sandefur, Harvey Evans and Marti Rolph. Though a Tony Award has eluded Schwartz, he has more than his share of nominations: for Best Score, Pippin ; Godspell score [1977, seven years after it premiered Off Broadway]; for his book and score contributions to Working ; with Charles Strouse for his lyrics for Rags ; and last season for Wicked, when it appeared a Tony might finally be his. The show was on a roll and then�audience gasps�the envelope read Avenue Q. He does have the distinction of being the first composer-lyricist to have three Broadway shows running simultaneously, Godspell, Pippin and The Magic Show. He�s also won three Academy Awards [Pocahontas � lyrics, Best Score and Best Song, "Colors of the Wind"; The Prince of Egypt, Best Song, "When You Believe"], five Grammy Awards, and four Drama Desk Awards. Schwartz is currently at work on songs for a Hans Christian Anderson celebration, a musical titled My Fairy Tale. Captain Louie has finally soard off the runway, but it�s been attempting take off for 30 years. That�s when Stein, artistic director/founder of the First All Children's Theater, first approached Schwartz about musicalizing the book adapted by her husband Anthony, an Emmy-winning writer of children�s tales. That was a quick read! Ezra Jack Keats� 1978 Caldecott Award-winning children�s book, though colorful and lavishly illustrated, is only 38 pages. It consists of less than 600 words. 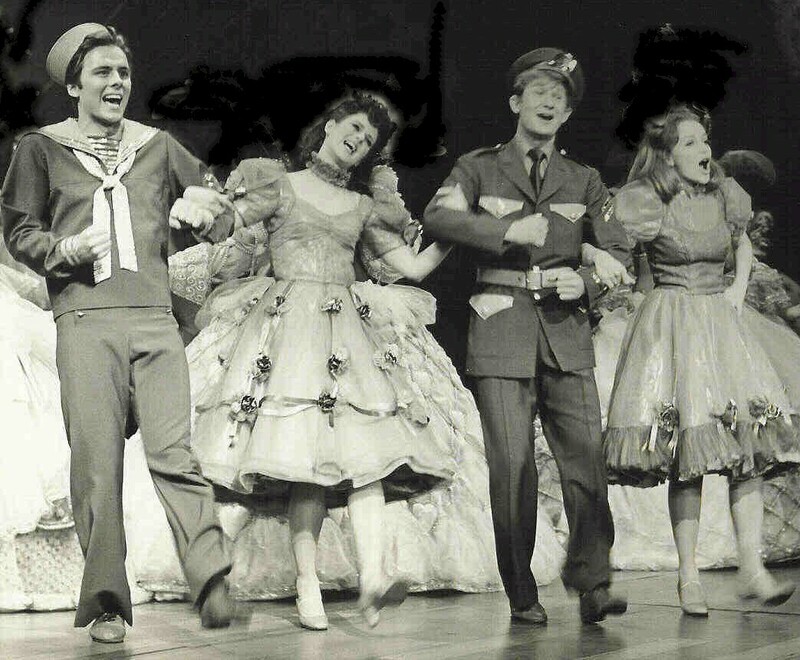 Even though Schwartz was giving flight to Rags, he wrote several songs and a thirty-five minute version of Louie was presented by the First Children�s Theatre. �It was fine for what it was," he says, "but I knew if it was to have a real theatrical life, it had to be longer. I feel I was able to expand it without it feeling padded. We added characters and fleshed out others.� As it is, now with nine songs, it runs just over an hour. Without Stein�s persistence and the belief in the project shown by former stage star Kurt Peterson, who turned to producing, it might not have been. According to them, Schwartz devoted his energy and passion for Louie as if it was his next Broadway musical and not a children�s or family show. role he played in the 1975 tour of the show. From high school onward, growing up in Wisconsin, musical theater was a joyous part of Kurt Peterson's life. After coming up the ranks in regional theater, where he once worked with Tommy Tune, he came to New York. As a 20-year-old, he made his New York debut, personally chosen by Leonard Bernstein, as Tony in the 1968 Lincoln Center revival of West Side Story. He became's Broadway's golden boy and Dear World and Follies quickly followed. In Everything Was Possible [Knopf, 2003], author Ted Chapin interviewed Peterson on his role and the production process for Follies. While he was in that musical, Peterson's friends Fritz Holt and Barry Brown were seeking investors to star Lansbury in a West End production of Gypsy. "They were slightly undercapitalized [one estimate is by $100,000]," reports Peterson. "I offered to help. I had stationary printed and went about raising money." He raised enough to be billed as associate producer. When he got home, he phoned Stein. �Is it too late for me?� he wanted to know. In theater, it�s never too late for an investor! �Nope!� replied Stein. �We�ve love to have you!� And he came aboard as a lead producer. Louie was capitalized to go beyond Off Broadway. A tour is in the works so, Peterson notes, �a New York presence, hopefully, well-received, was a necessity.� The glowing reviews and audience response have also helped. Louie isn't Peterson�s first producing attempt. He was an associate producer of the Angela Lansbury Gypsy on the West End and Broadway; produced Sondheim: A Musical Tribute ; and, this past March, Children and Art, a high-ticket Who�s Who of show business benefit for Young Playwrights Inc., founded in 1981 by Sondheim. During the next eight years, he rarely performed. When Carnegnie Hall was ejecting tenants, he saw a business opportunity and secured a number of apartments at 853 Seventh Avenue for voice instructors. Recently he participated in the celebration of Sondheim�s 75th birthday and, in March, the Symphony Space Wall-To-Wall Sondheim, where he was joined again by Evans and and Marti Rolph. They portrayed older Ben, Buddy and Sally. 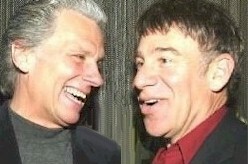 "Joe Stein and I begged Merrick to end it. It was a mess" . . .
different show . . . different in so many ways . . .
Over the years, we�ve learned a lot." 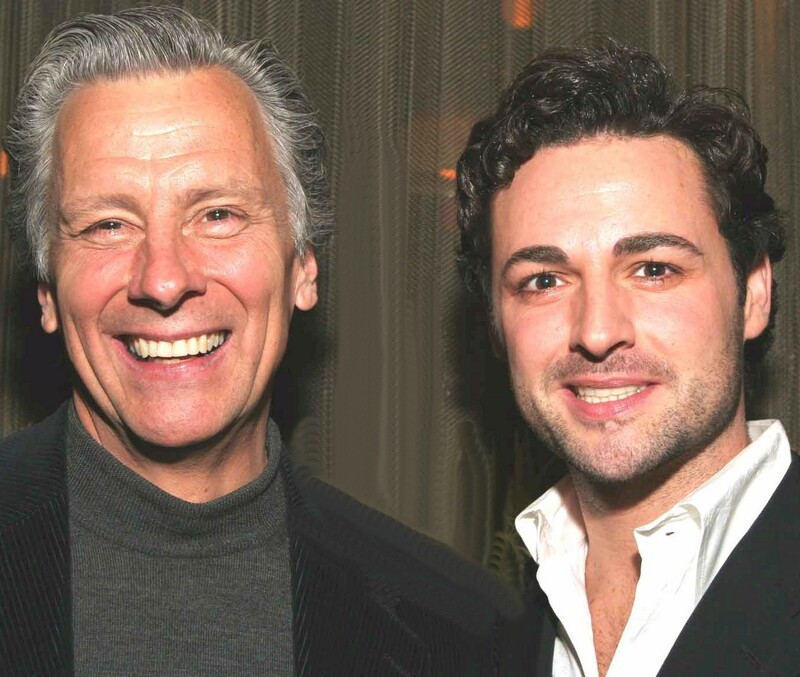 The opening night of Baker�s Wife at Paper Mill was quite a reunion for Peterson and Schwartz. They reminisced about the tour that never made it to Broadway. A fate that has not happened to the trajectory of Captain Louie. The show is fast-moving enough as not to lose childrens� attention; and fun and charming tuneful enough to keep adults interested. The just-released concept CD is on PS Classics. The show plays a not-so-traditional schedule at the York Theatre at St. Peters [Citigroup Building, 619 Lexington Avenue, entrance on East 54th Street], currently in repertory with Stephen Dolginoff�s musical Thrill Me: The Leopold & Loeb Story [talk about a far-fetched �double-bill�!] through June 12 [though an extenstion looks likely]. For tickets: the York box office or through Smarttix.com, (212) 868-4444. CD compilation sets from 1959-1967 and 1981-1992. 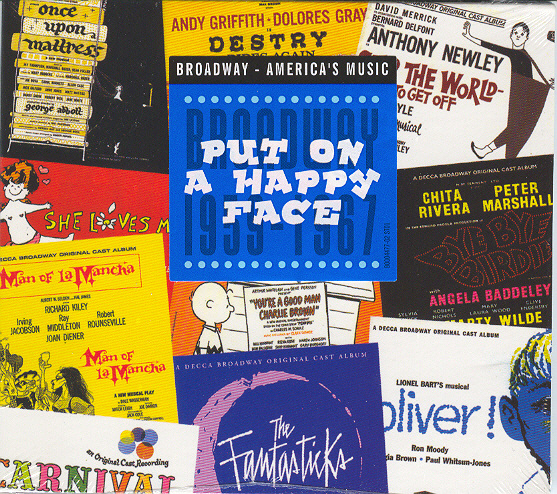 Decca was once the king of the Broadway original cast albums. The company's catalog is a music theater treasure trove. 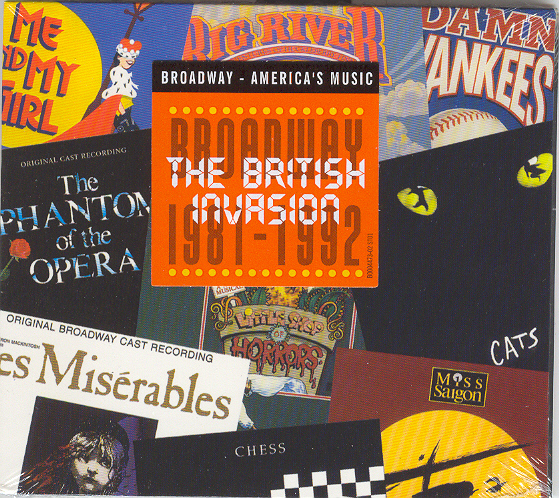 Brian Drutman and Joseph Szurly have dipped into that musical pot of gold to assemble a bargain-priced series of tunes from Broadway's biggest hits - one per musical - from 1935-2005, organized by nine, ten and twelve year periods and under such themes as A Time of Hope  and Broadway Magic . Volume One is the real gem, with tunes from Berlin's This Is the Army, Rodgers & Hart's A Connecticut Yankee and Higher and Higher, Porter's Leave It To Me ["My Heart Belongs To Daddy," sung by Mary Martin] and Panama Hattie ["Make It Another Old Fashioned, Please," The Merm] and McHugh and Dubin's Streets of Paris ["South American Way," sung by that Brazilian bombshell in the platform mules, Carmen Miranda in her Broadway debut]. There are two big disappointments for avid collectors of this type of material: No booklet with liner notes or photos and the CDs only have 10 and 11 tracks [save A Time of Hope which has 12]. Suggested retail price: $11. Ellis Nassour is an international media journalist, and author of Honky Tonk Angel: The Intimate Story of Patsy Cline, which he has adapted into a musical for the stage. Visit www.patsyclinehta.com. For a listing of all features written by Ellis, click here. This list is compiled from various sources. If you have corrections to the Broadway Season, please contact us. © 1997 - 2010 2die4 Productions, Inc.